My second pen for drawing has several names. I’ve heard it called the Duke compound art pen. 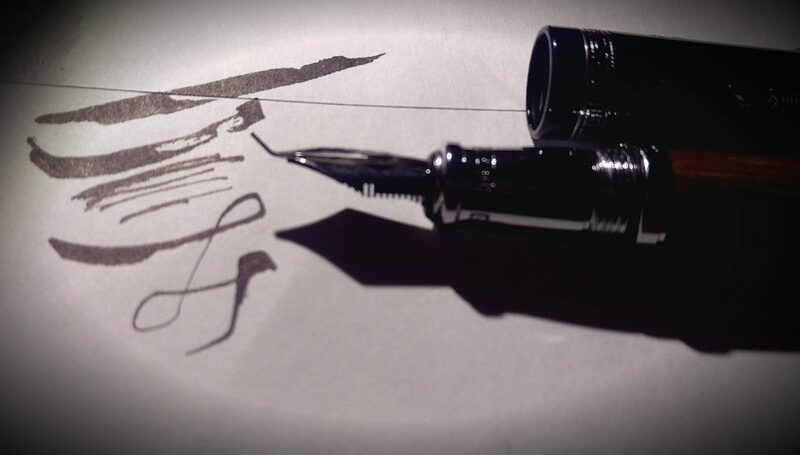 Duke calligraphy fude pen. Duke 551. Duke Confucius fude pen gets you the cheapest price on eBay generally $35. You don’t need the box. It’s a nice box but it’s not worth an extra $20-$30 on top of the pen. I lurve this pen: you can go from thick heavy strokes to tiny lines by changing the angle and what side of the nibs hits the paper. 1. It’s a big heavy pen. Heavier than the jinhao X750. Don’t bother posting the pen. You really can’t. And with its weight, you don’t need it. 2. Those lovely strokes are due to the nib. It’s called a fude nib. It has a bit of a learning curve to it.